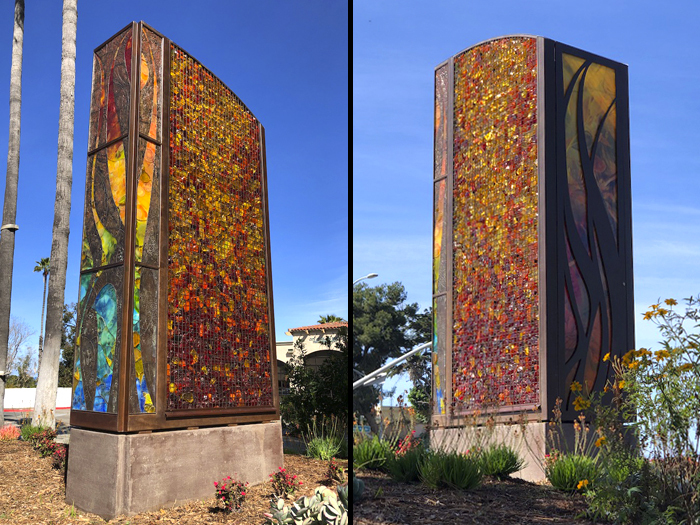 Dedicated to the members of the Solana Beach Fire Department who tirelessly stand between us and danger, the “Firewall” sculpture represents a fire contained within the landscape. 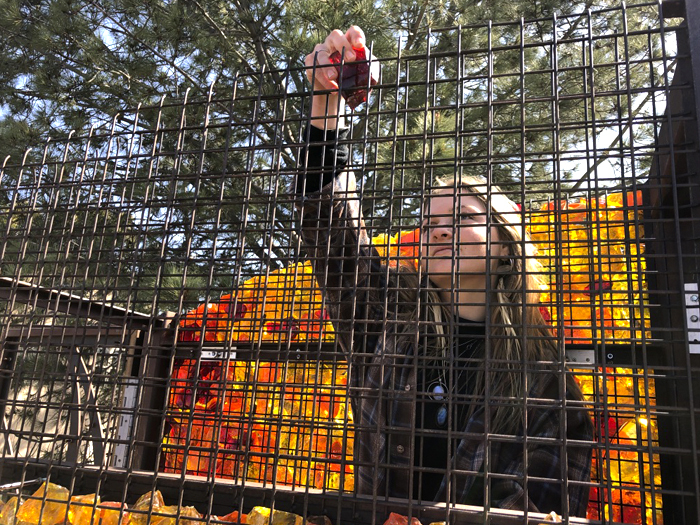 The metal structure contains red, orange and yellow "embers" of soda ash glass, hand-selected and placed to represent a mosaic of smoldering fire. 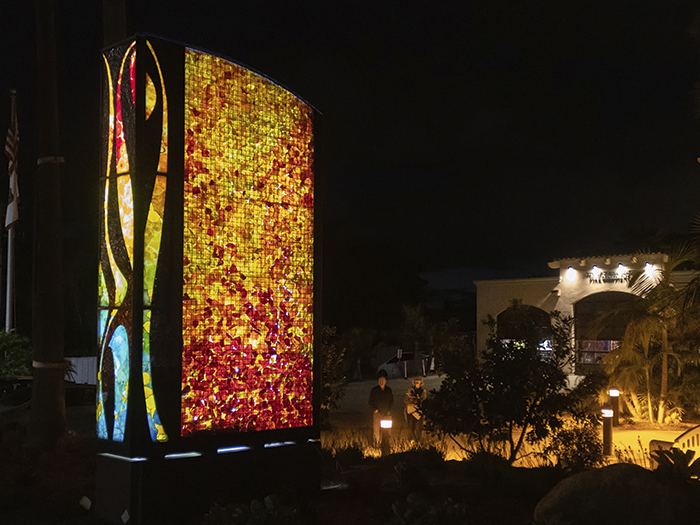 The front of the sculpture, facing Loma Santa Fe, is a combination of Betsy’s sculptural ceramics and mosaic work using specialty fused-glass created by Solana Beach artist Chris Austin. 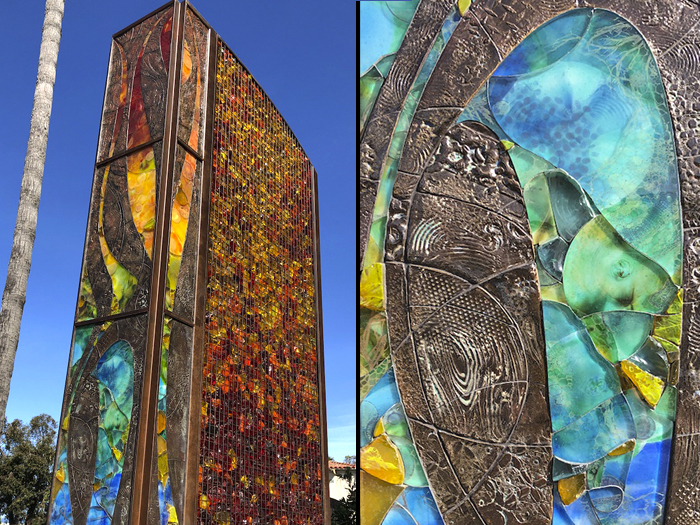 The back of the sculpture is a steel laser-cut door backed by a Lexan panel with a custom printed photo-composition. The size of the Firewall and internal LED lights make it highly visible, day or night, to those walking and passing in cars or on bikes. 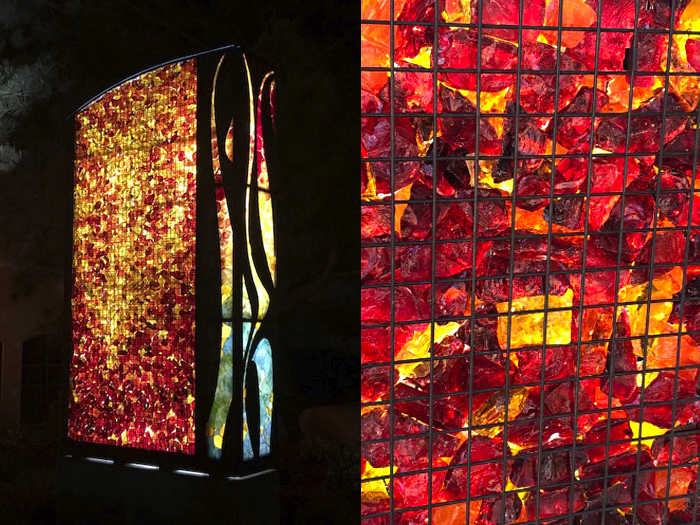 The lighting of the chunk glass evolves throughout the day, resembling glowing embers with the darkening of the sky. 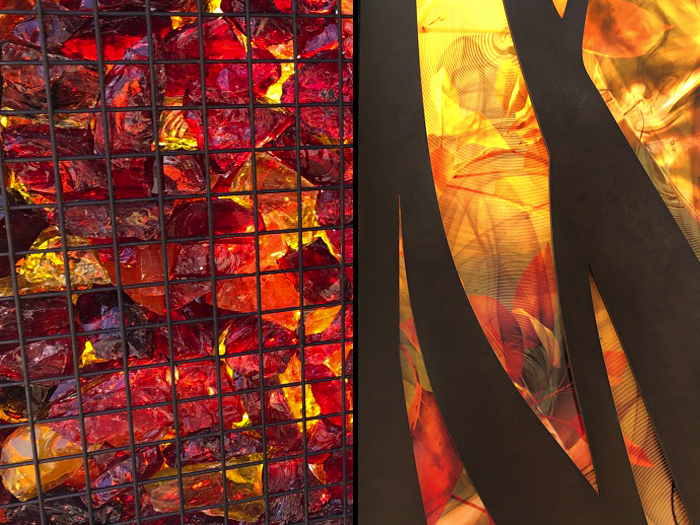 The ceramic shapes that front the “Firewall” transform at night into silhouettes, revealing the abstract shapes of dancing fire. Betsy worked closely with VDLA Architects, who designed the landscape plan. Together they selected and placed plants with foliage and bloom colors that complement the “Firewall”. The project includes the removal of the existing grass lawn and changing the irrigation to save water; and the installation of drought-tolerant and fire-resistant native plants appropriate to the coastal North County micro-climate. 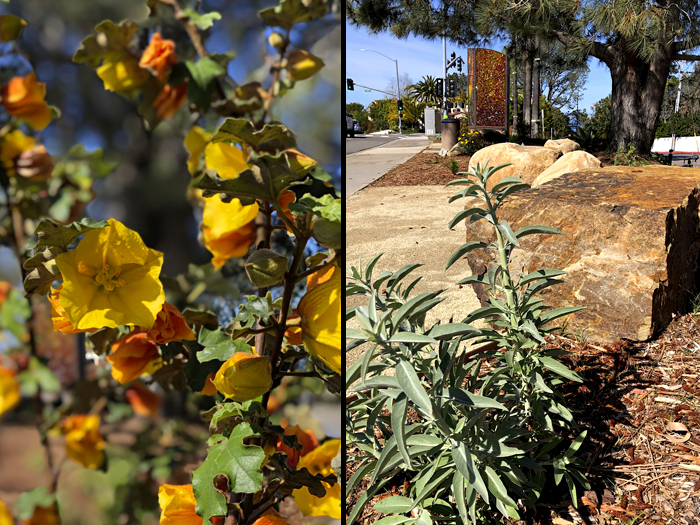 The Solana Beach Civic and Historical Society and Garden Club helped to create a native demonstration garden and two seating areas complete with boulders and decomposed granite.